TOPIC:	What happened in King Williams Town in 1880? I have a group to Tremeer who in the DSO book is described as defending King Williams Town in 1880. This may actually be Umtata instead. I would think this relates to his CGHGS medal. Does anyone know where I can find out more about the town and what happened? Google has turned up nothing. Is there a more detailed book on the frontier wars. The book "Boot and Saddle" by P.J.Young makes reference to a CMR squadron defeating the warriors in several skirmishes in the Umtata area. This during the Pondosimi campaign of 1880. The book does not mention the participation of the KWT artillery at all. I don't quite know how that relates to KWT. The P.J.Young book seems to be fairly well known and should be easy to source in SA. I have an 18 carat gold Suple Prize Medal dated 1868 to a H.M. Chute. Although not directly related to your query there is a an overlap to the theme in that Chute in his obituary (copy attached) is mentioned as having been the O.C. 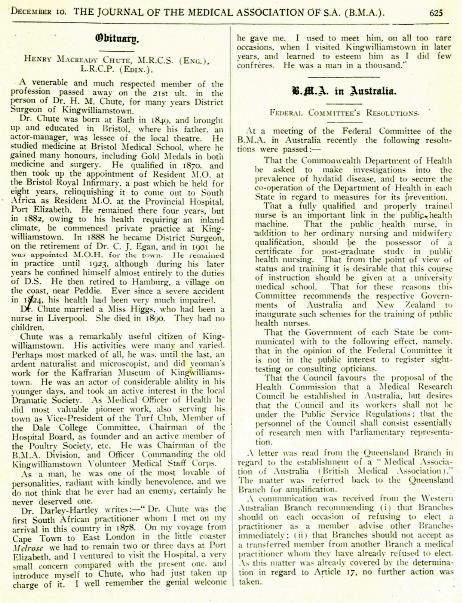 of the King William's Town Volunteer Medical Staff Corps. I has never heard of this outfit before.